Leading Manufacturer of metal insulated gasket for valve industries, rubber bushes, rubber dock bumper for sea port, rubber seals, u type profile and molded rubber products seal from Mumbai. Metal Insulated Gasket for Valve Industries consist of a sheet metal jacketed and filler of Asbestos, CAF, PTFE, Grafoil etc. which improves its resistance pecularities to temperature and loads. By it's structure easily compressible with tightening loads lower than those required for metallic gaskets. The metallic jacketed gasket find their proper employment in the presence of high pressures and temperatures. Metal Jacketed Gaskets offer an economical seal where sealing faces are narrow and can be produced in variety of shapes. 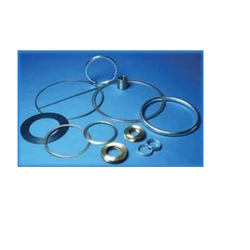 The metal Jacketed Gaskets are specifically recommended for sealing of heat exchangers, valve cover, autoclaves, manhole etc. Metal Materials Used are soft iron, all grade of steel, brass, monel, inconel, aluminum, brass, cooper, titanium, nickel, incoloy etc. Owing to our technical prowess, we have surpassed the competition by manufacturing best in class Rubber Bushes. 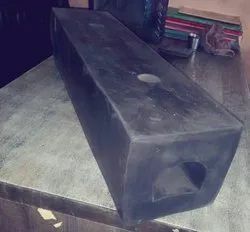 We conduct rigorous market analysis to anticipate the designing and performance needs for rubber bushes and owing to the superior quality of our developed rubber bushes we become the widely trusted entity. 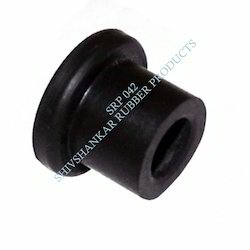 Further, these precisely fabricated rubber bushes can be ordered from us at a competitive price. Rubber bushes are available in below varieties. We have established ourselves as trustful entity manufacturing and supplying premium grade Rubber Seals. Featuring remarkable strength to withstand rugged wear and tear conditions the offered seals are widely demanded for its highly durable properties. We source premium grade raw materials to fabricate the high performing seals which can be availed from us in molded or extruded forms at a nominal price. 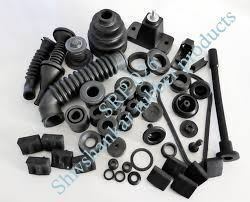 We have complete allegiance in manufacturing and supplying a wide assortment of highly demanded Molded Rubber Products Seal. 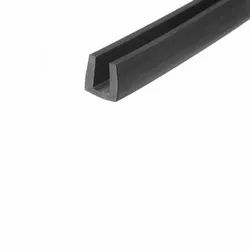 Featuring sturdy construction and remarkable mechanical properties, our offered rubber seals are one of the widely trusted products in the segment. We explore latest technology for molded products and develop customer specific profiles from viton, nitrile, EPDM and a wide range of materials at a market leading price.